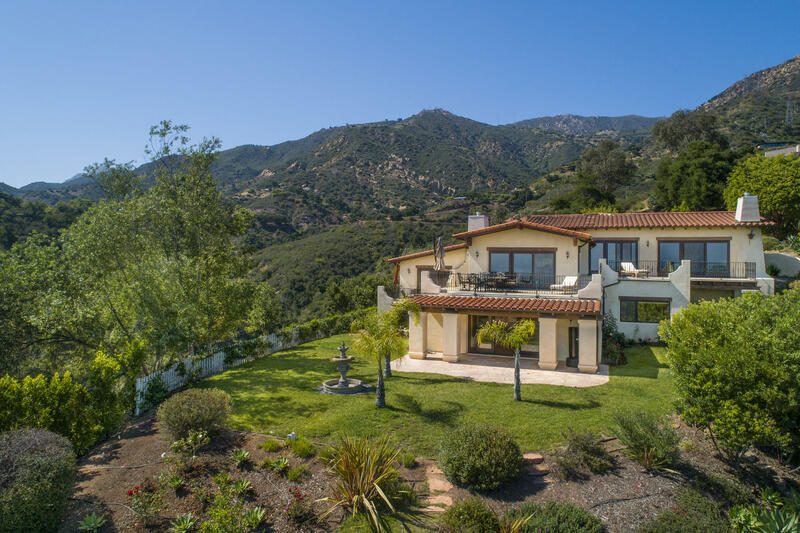 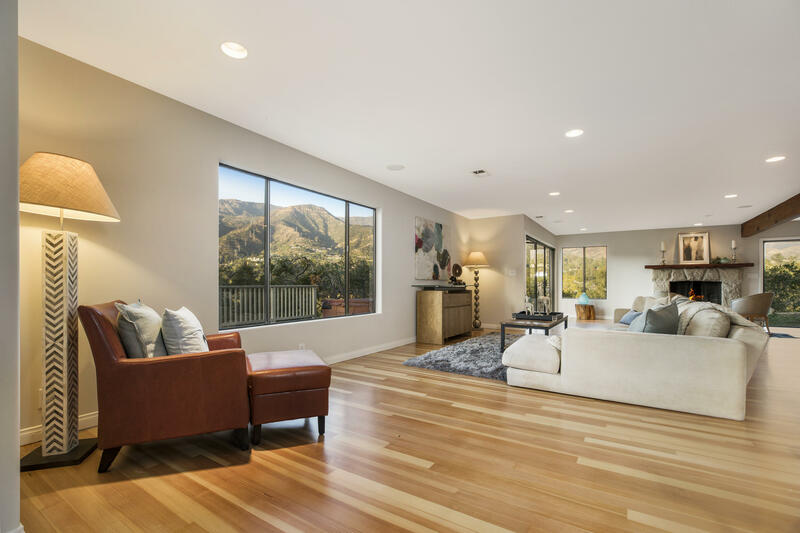 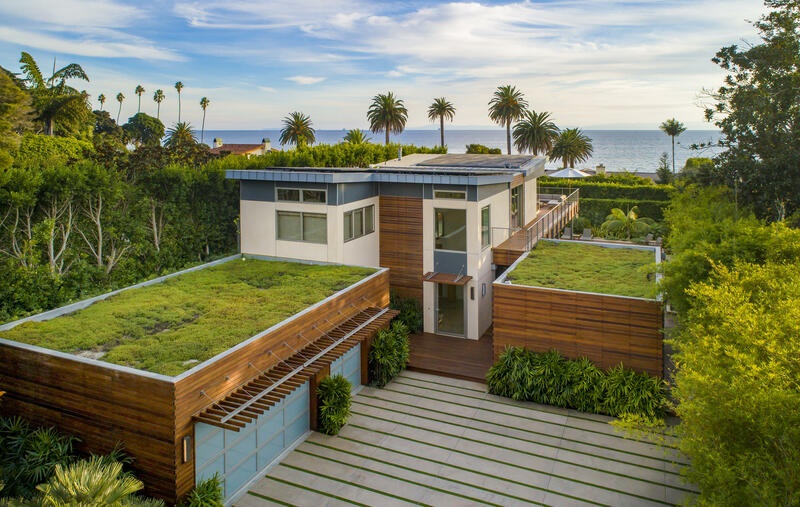 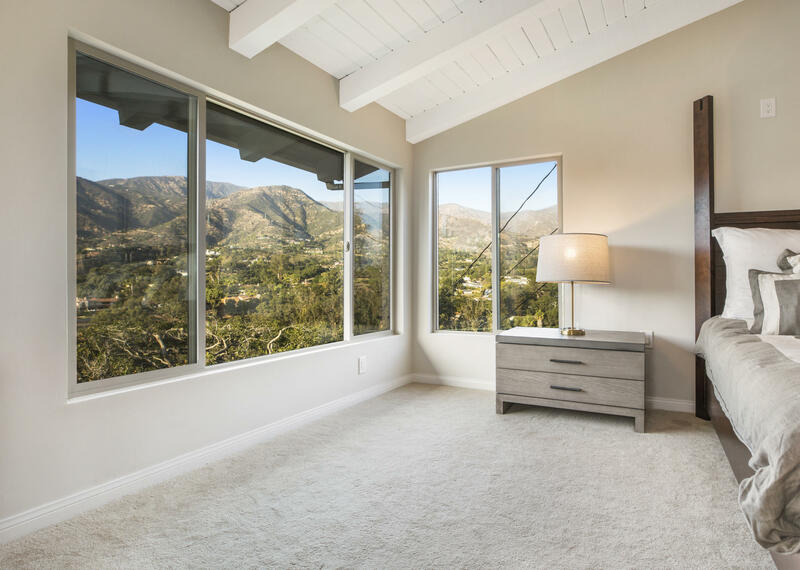 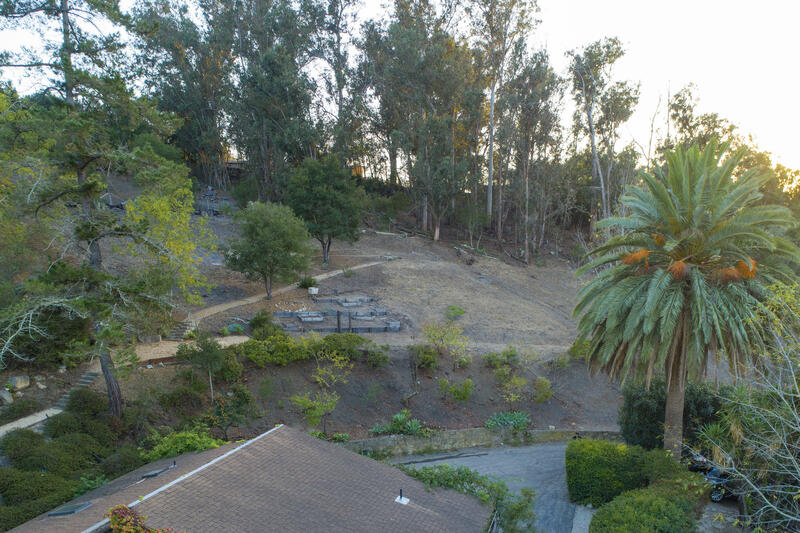 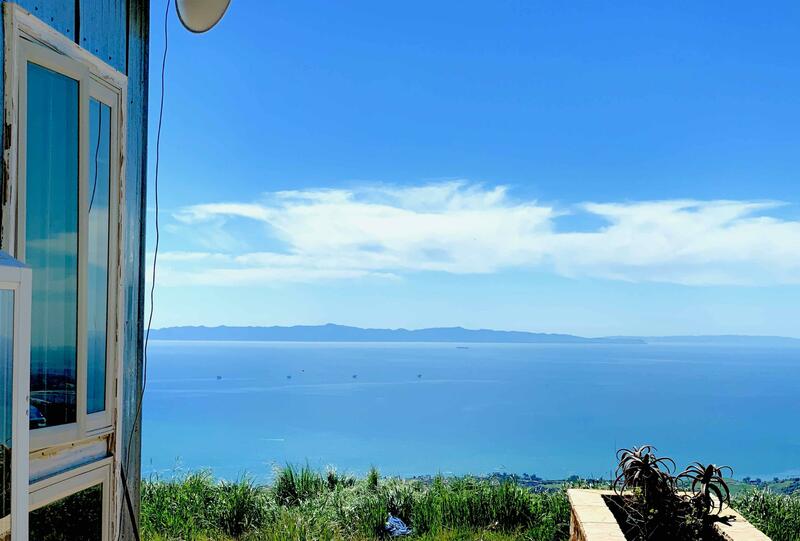 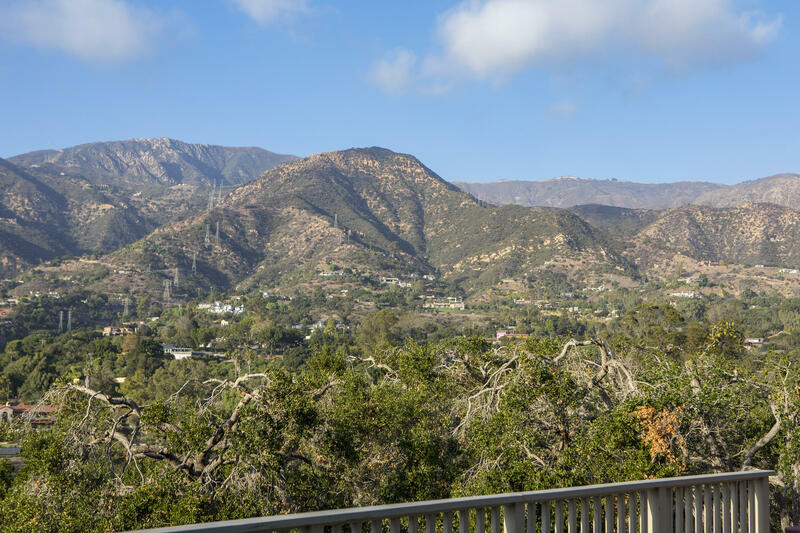 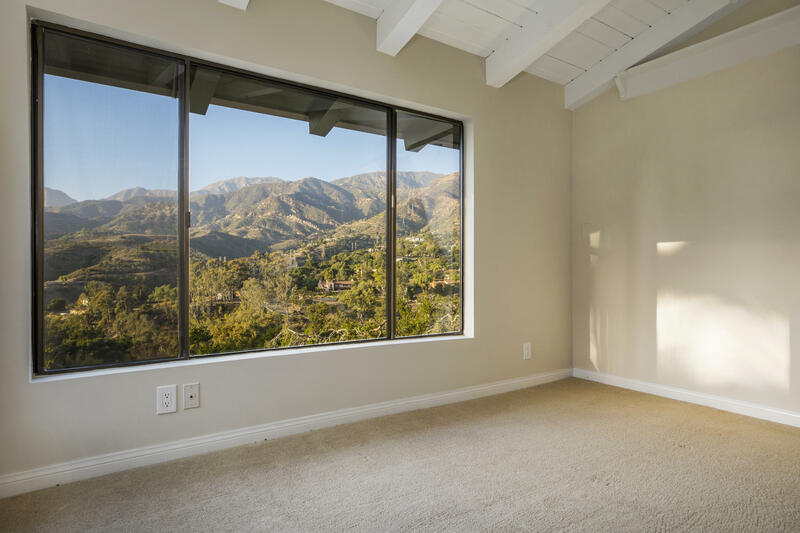 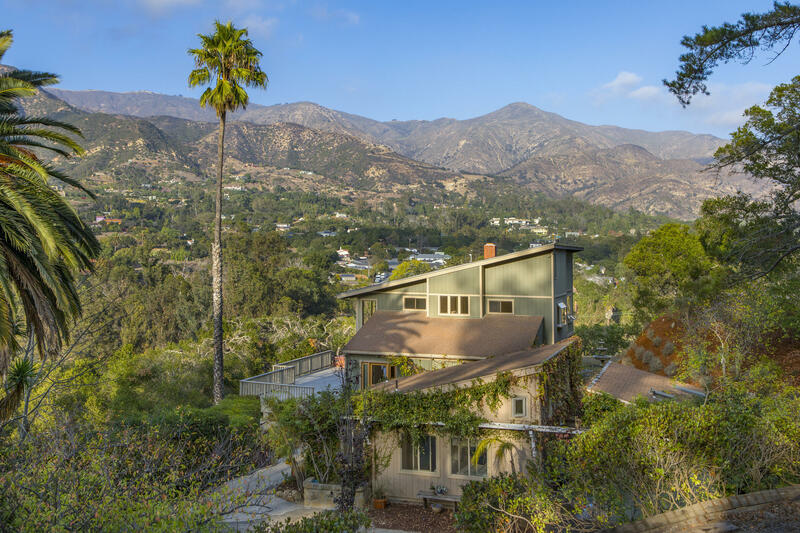 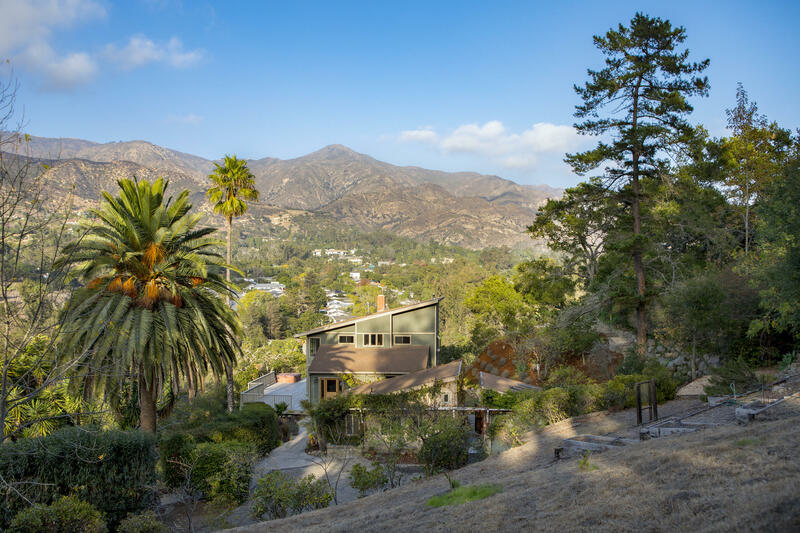 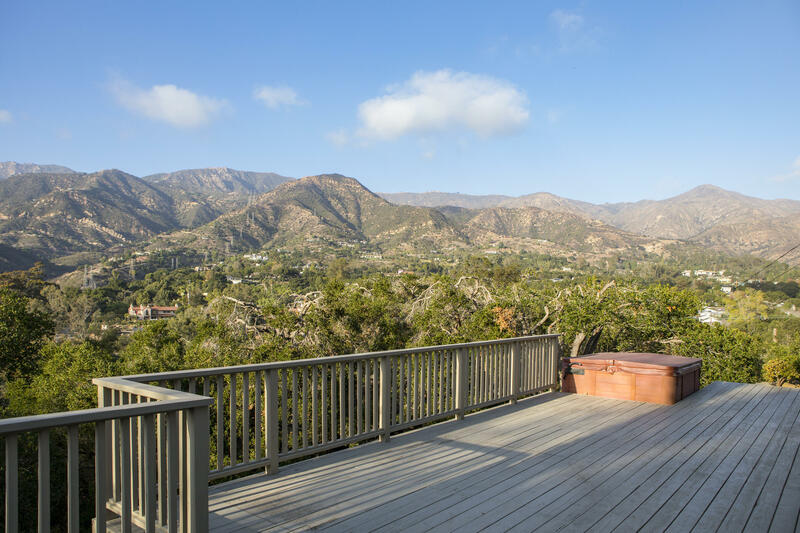 Perched upon the hills of Montecito, yet still close to town, 230 Sierra Vista Road is perfectly situated to take in unobstructed and panoramic mountain views from nearly every room in the house. 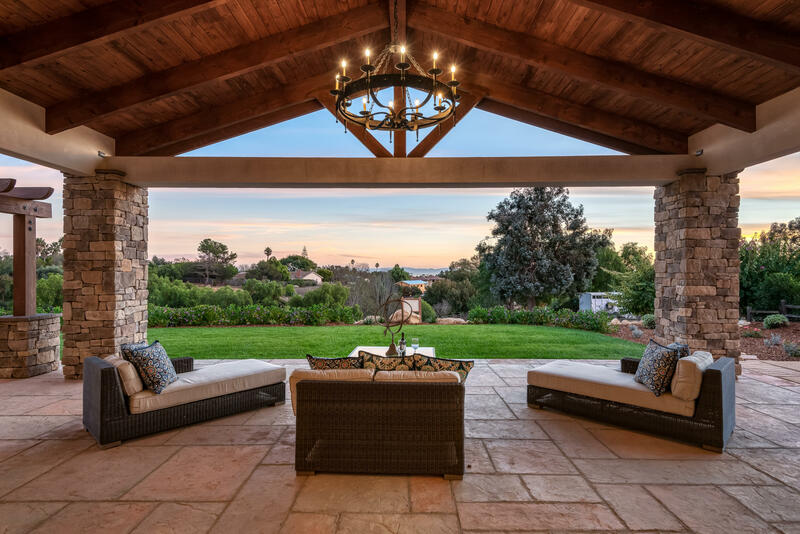 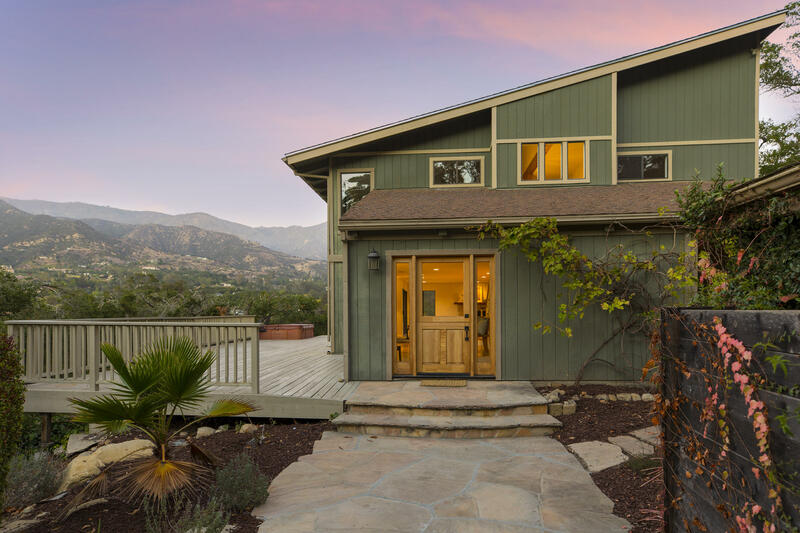 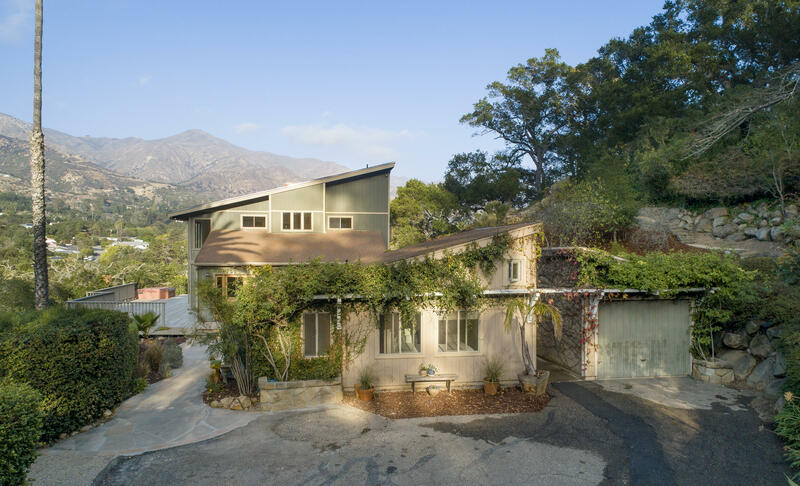 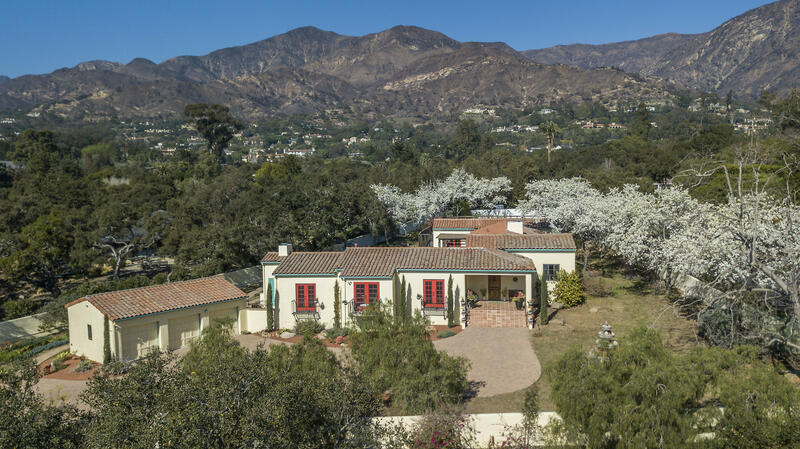 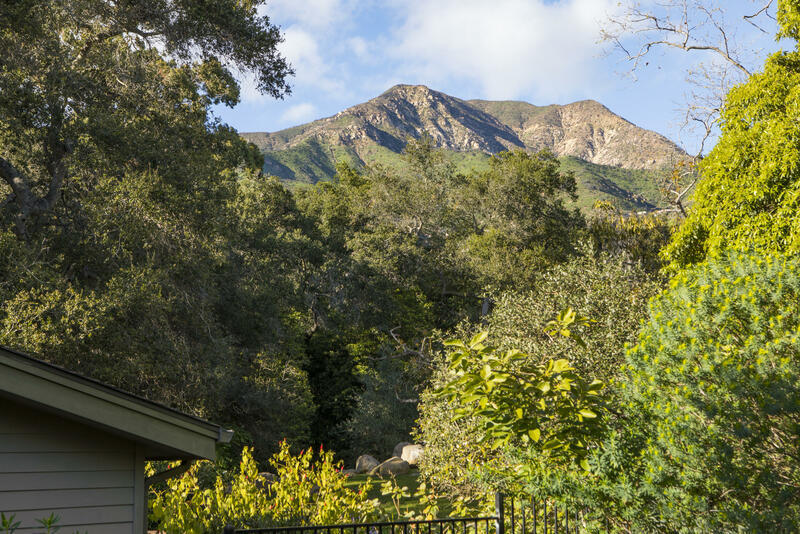 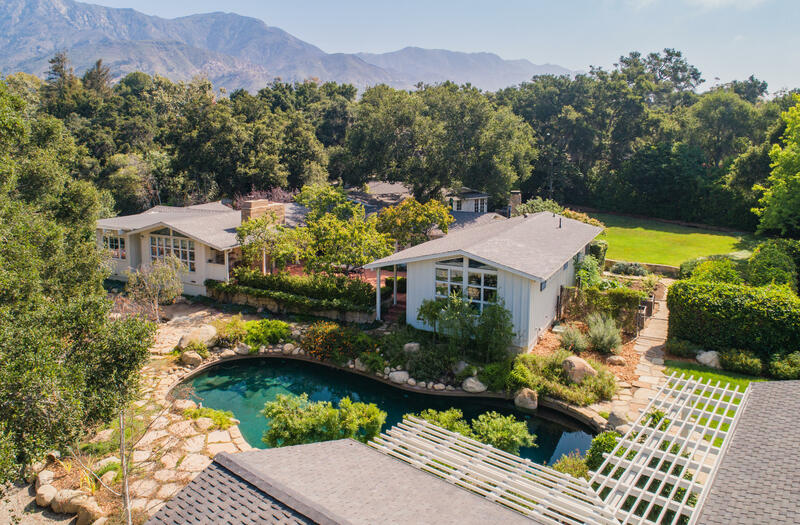 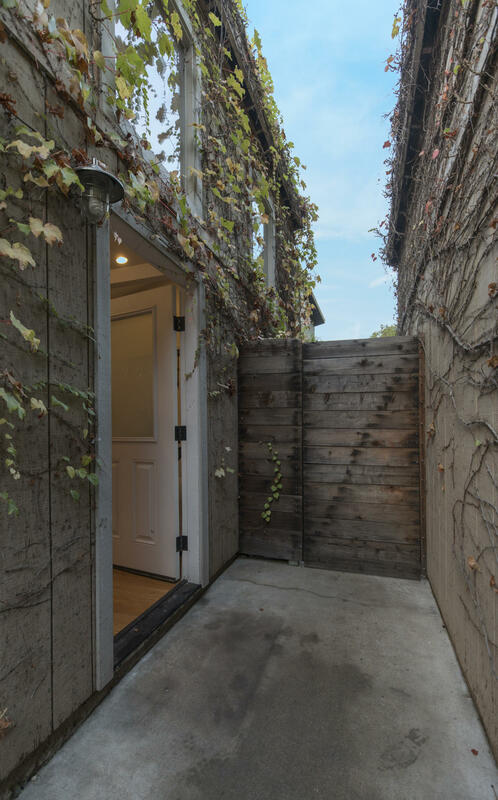 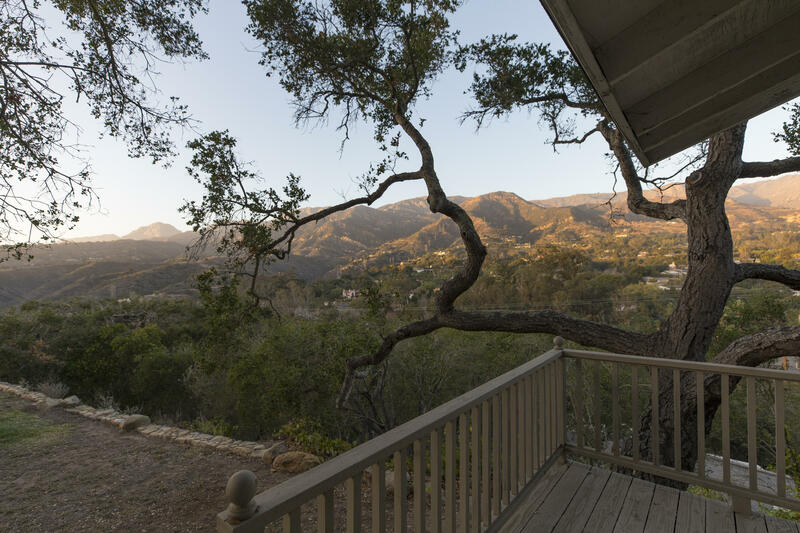 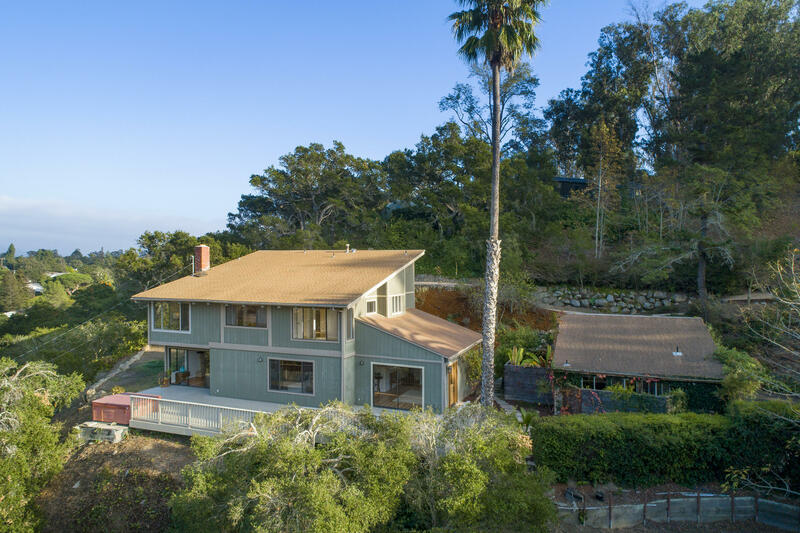 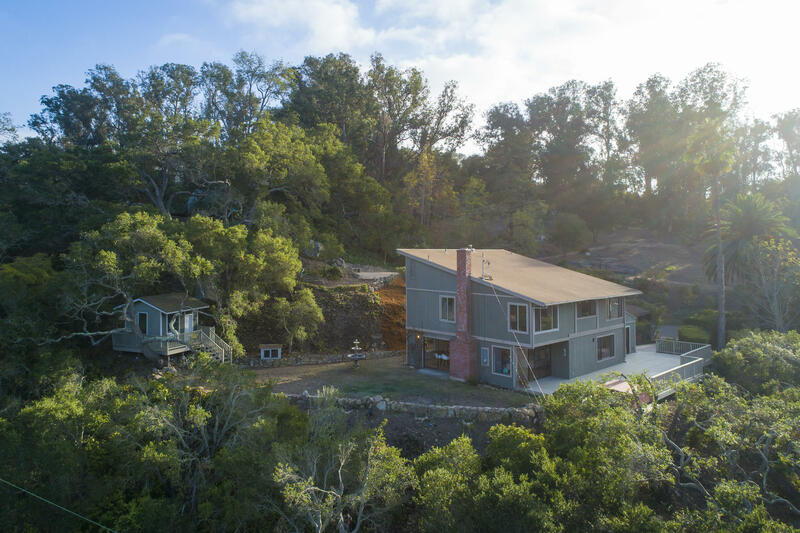 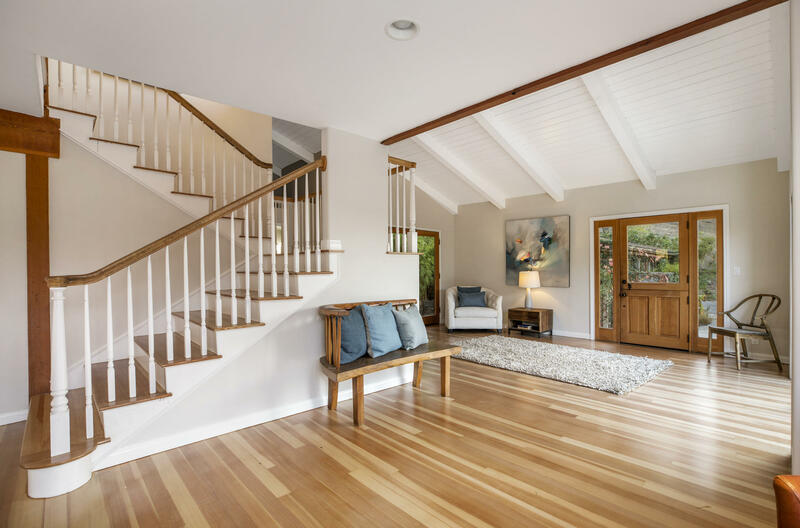 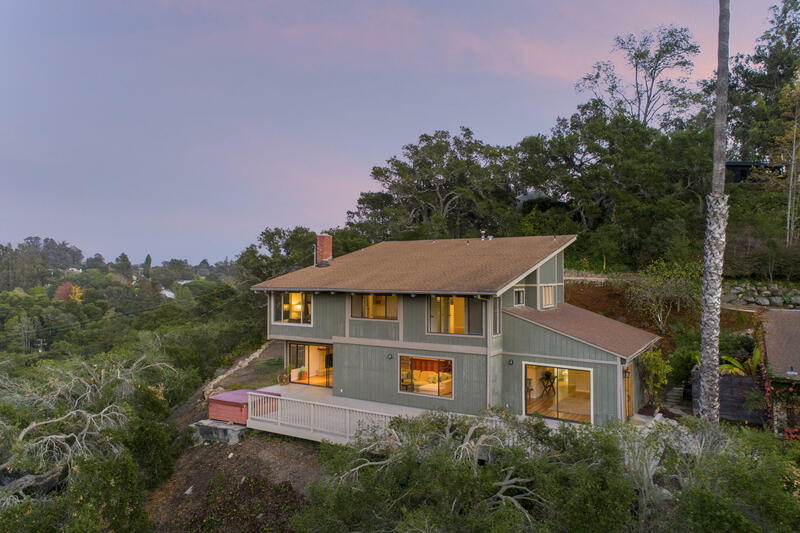 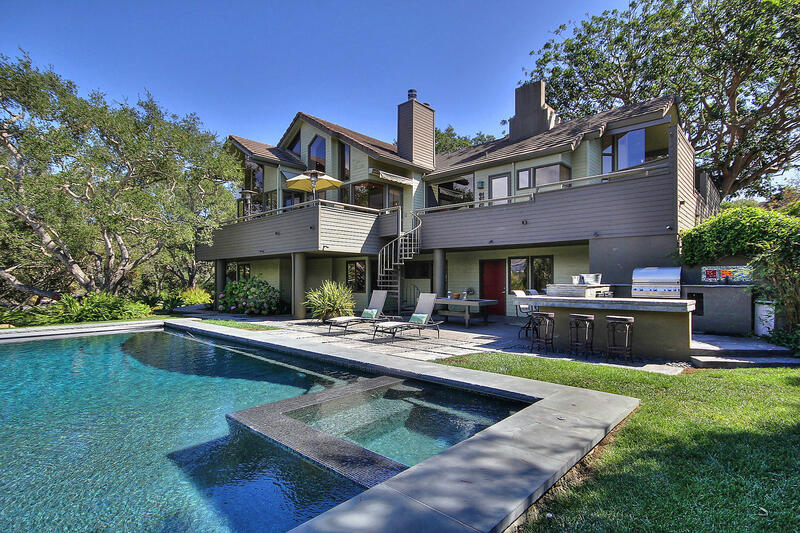 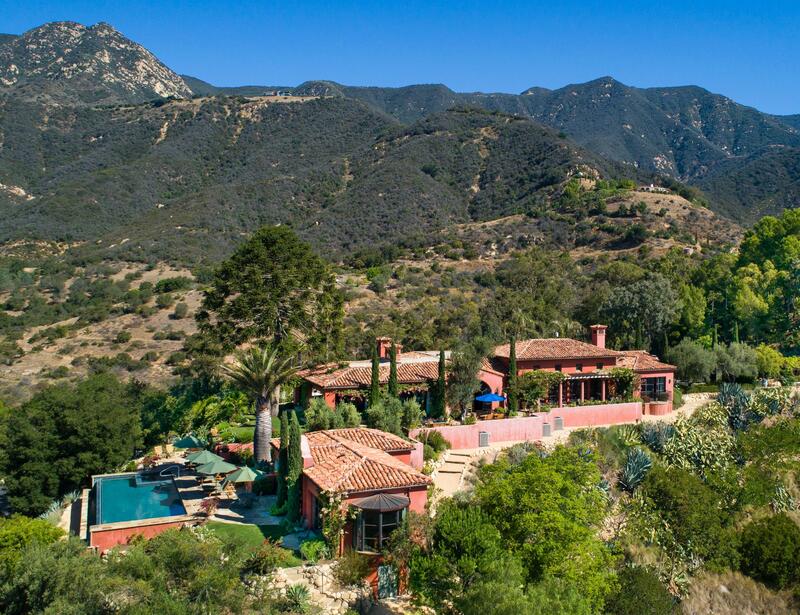 This glorious 3 bedroom, 2.5 bath home with a detached guest cottage rests on roughly 1.3 acres in an incredible Montecito location and boasts ultimate privacy with no neighbors in sight. 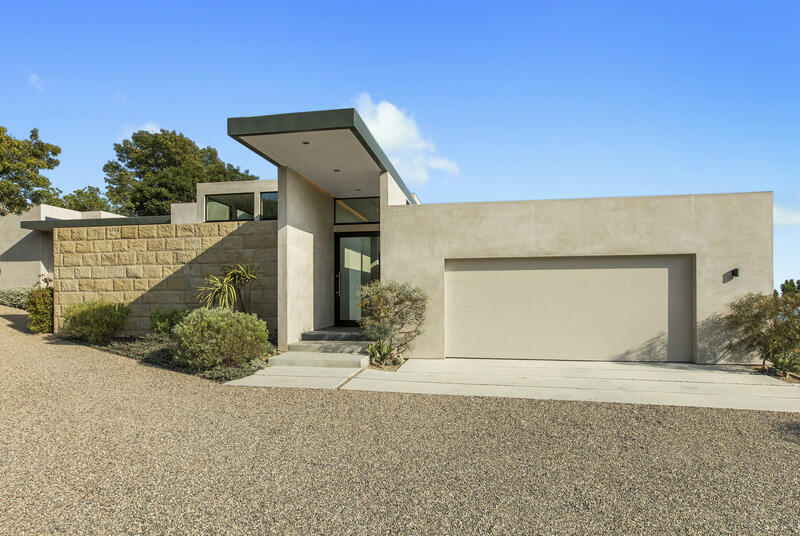 A beautiful hardscape walking path leads you to the front entrance, where you will immediately notice a warm Contemporary design that exudes charm and curb appeal. 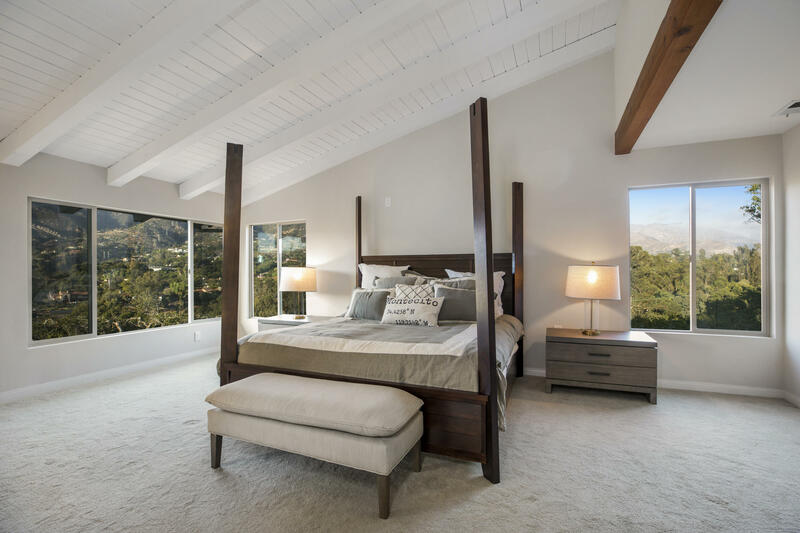 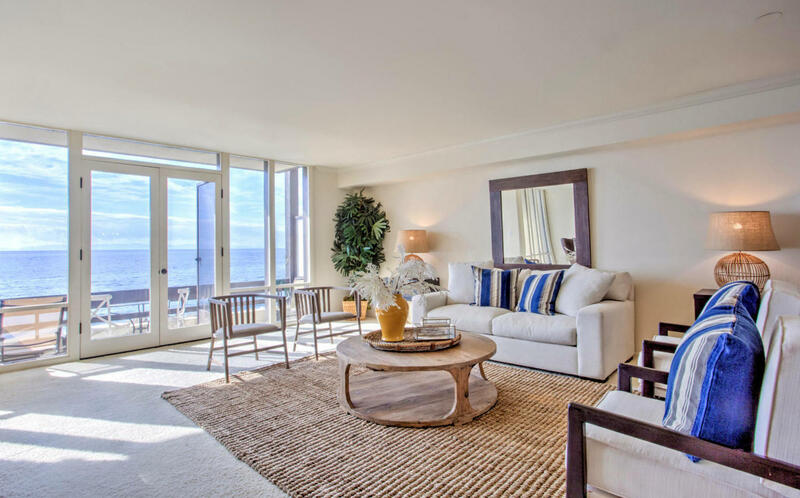 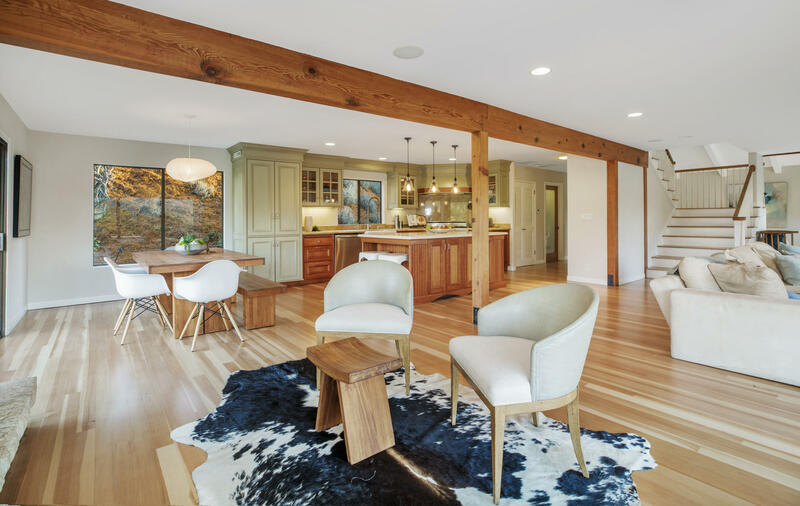 Upon entering the home, your eyes will be drawn towards high soaring ceilings and an incredibly open floor plan. 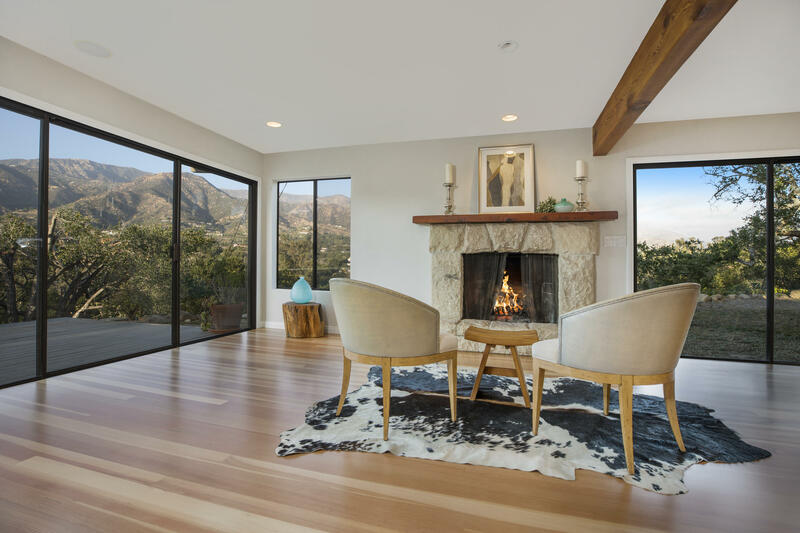 The living room with fireplace captures breathtaking mountain views from several large windows. 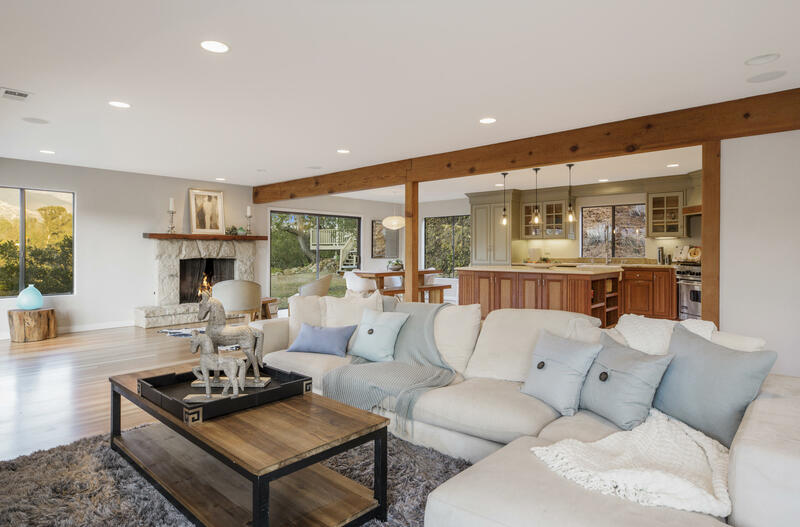 The living room, which is perfect for entertaining, opens directly to a massive outdoor deck with a hot tub, creating the perfect indoor-outdoor flow. 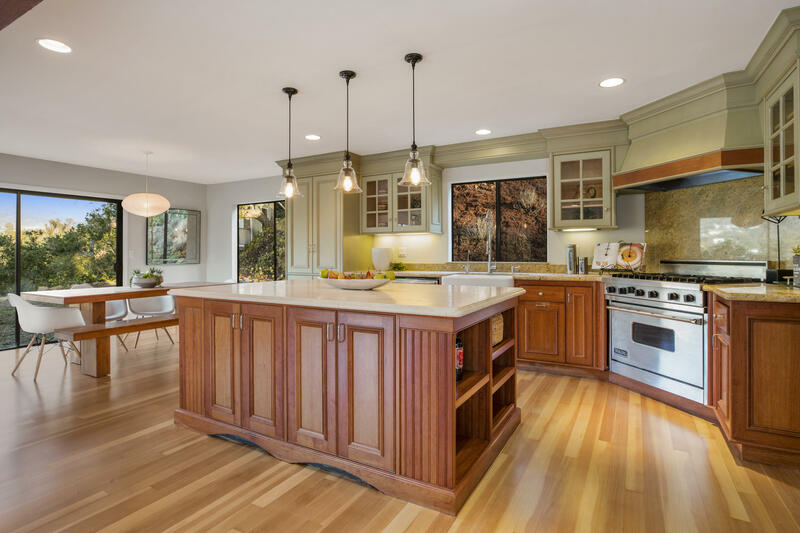 Separated by no walls, the kitchen and dining area open directly to the spacious living room, creating an open and airy feel. 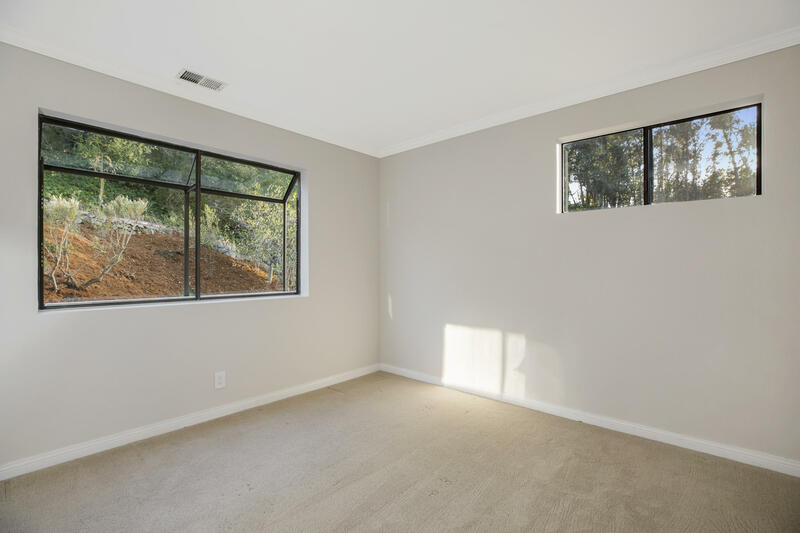 The dining area boasts large sliding doors that lead to a very private and usable backyard space. 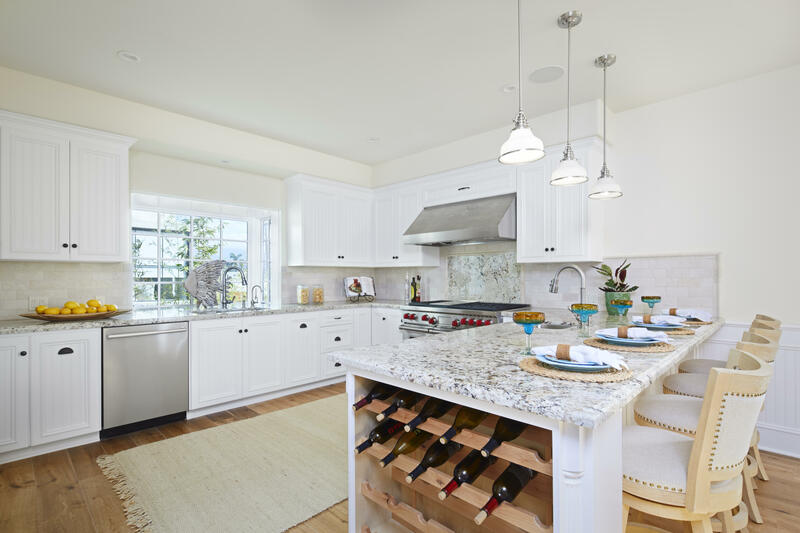 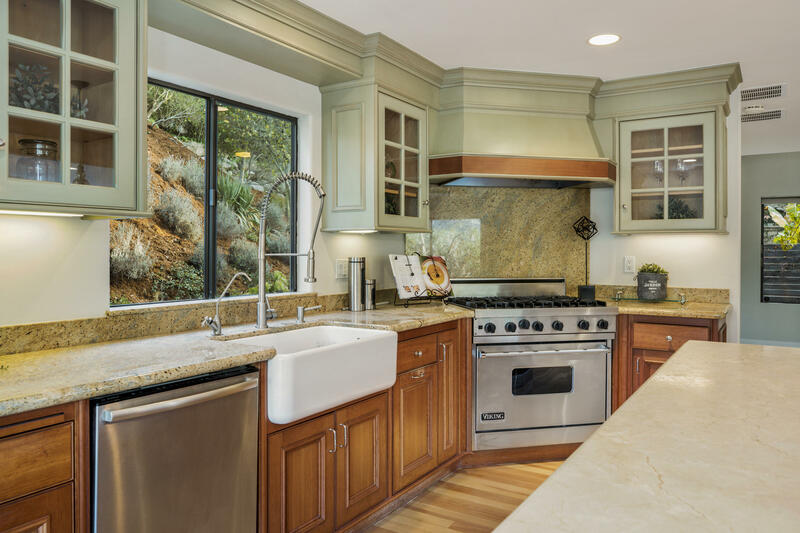 The bright and sunny kitchen is equipped with stainless steel appliances, a farmhouse sink, a large center island, granite countertops and backsplash, and beautiful mountain views! 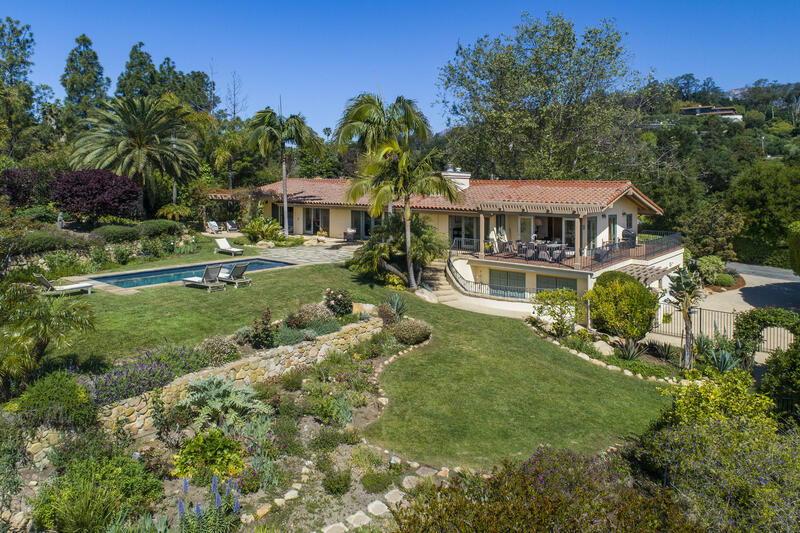 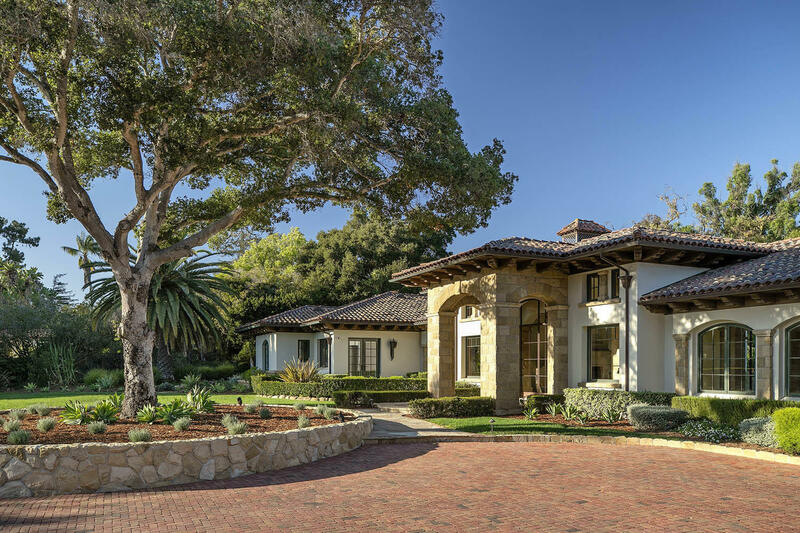 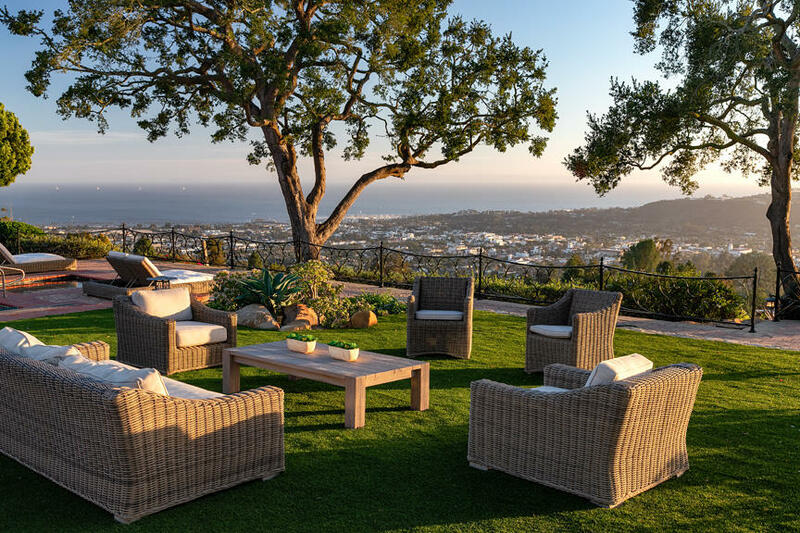 Set in the most serene and tranquil of settings, surrounded by mature oaks and palm trees, this Montecito gem offers a rare mix of privacy, charm, views, and location. 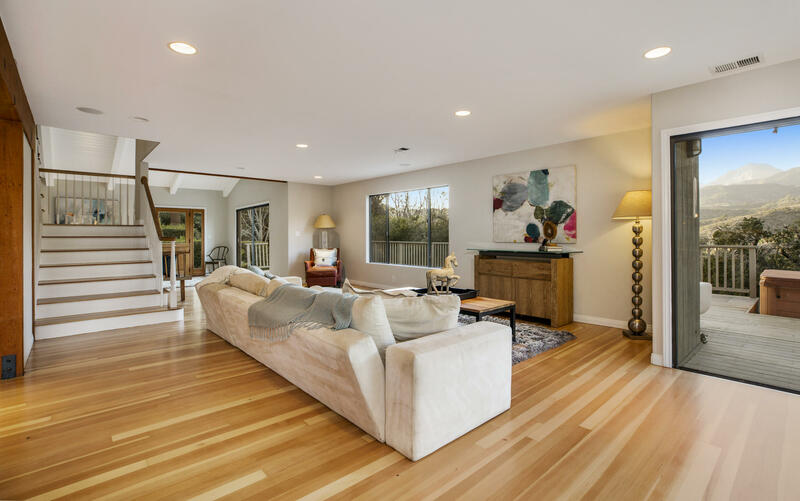 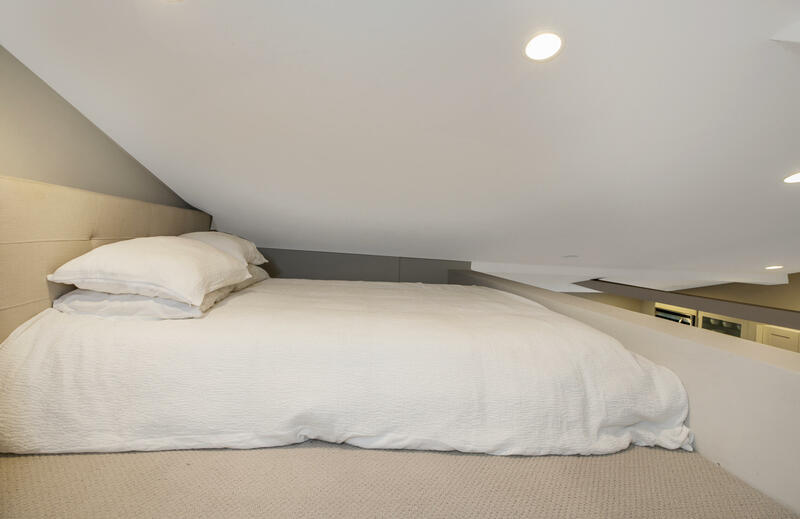 Completing this home is a stunning guest cottage with a living room, bedroom and separate loft. 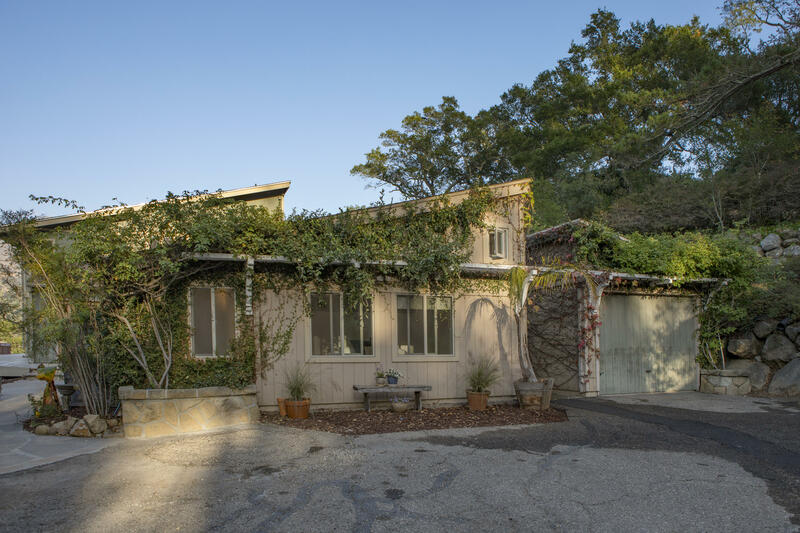 Parking consists of a one-car garage, a carport, and ample driveway parking. 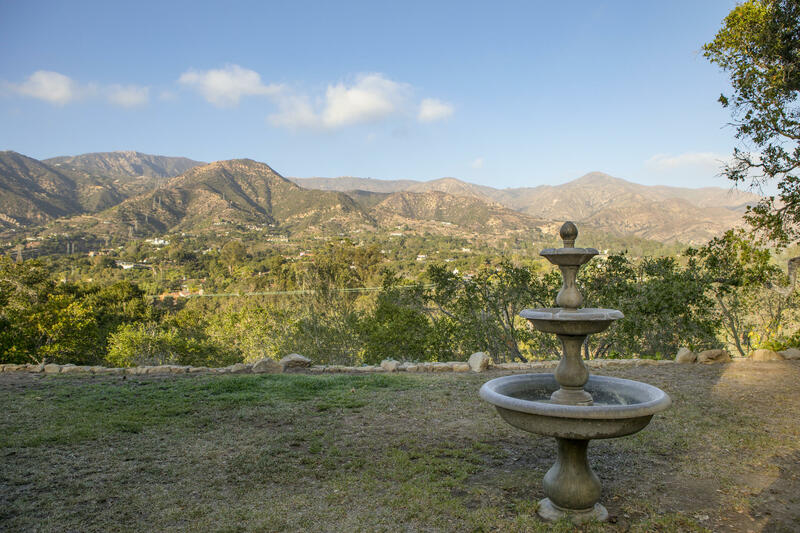 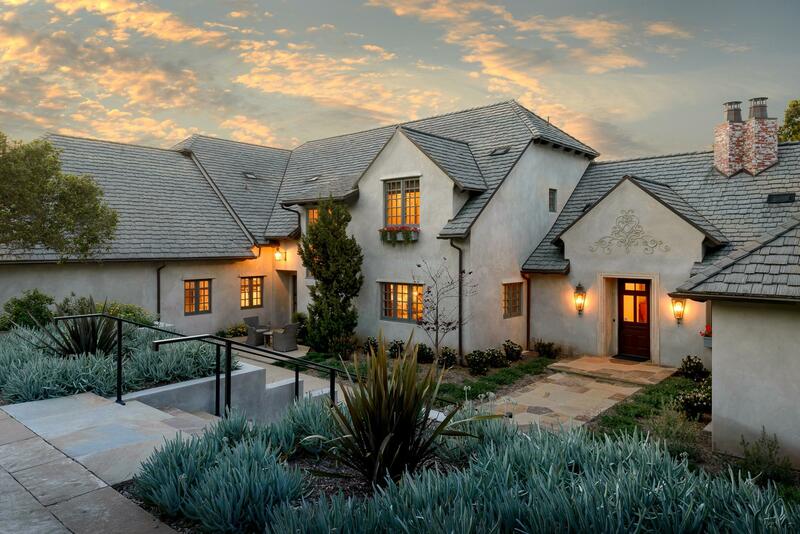 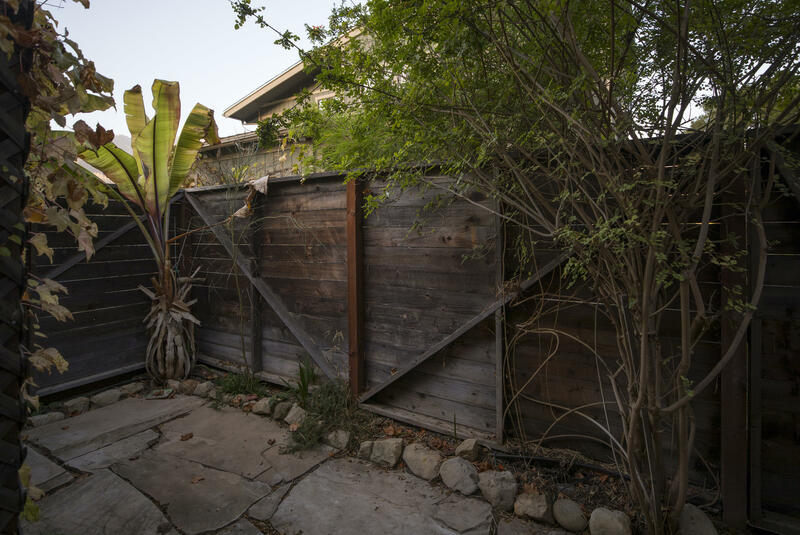 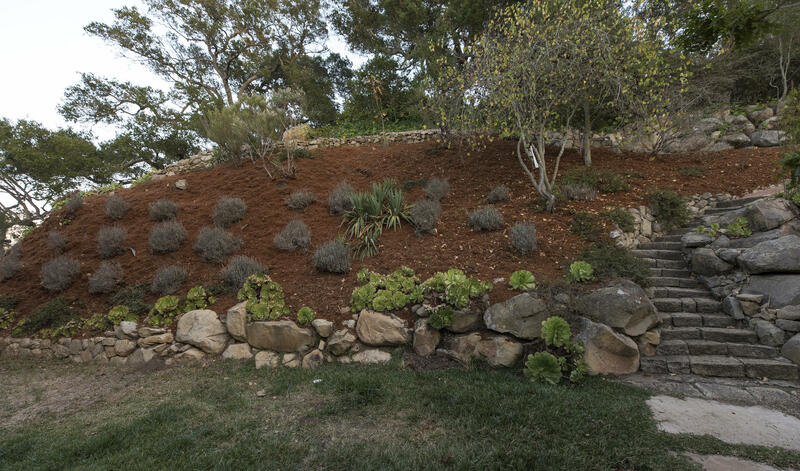 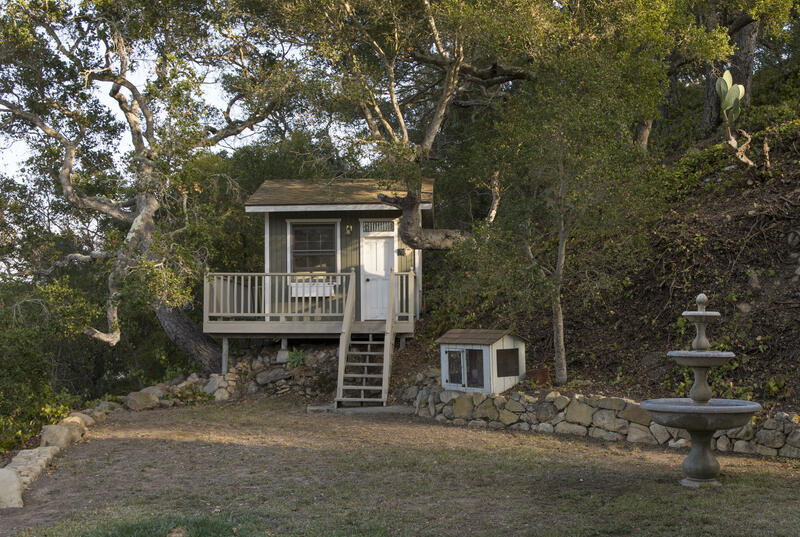 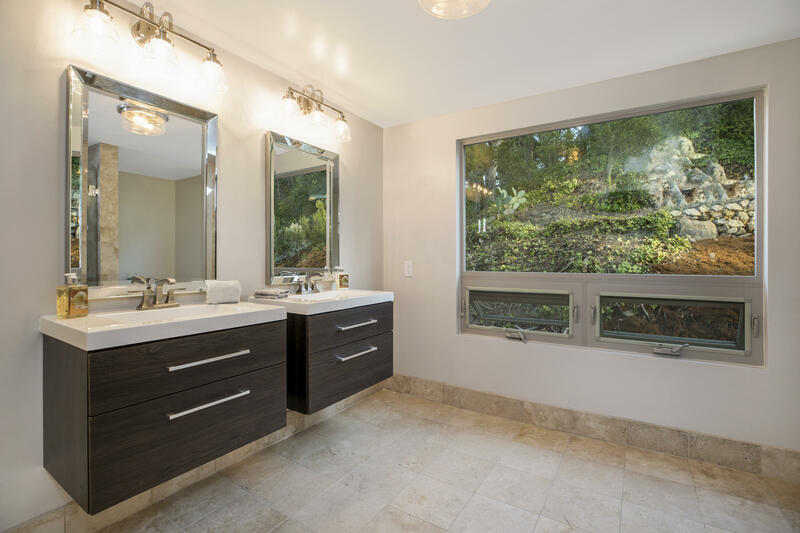 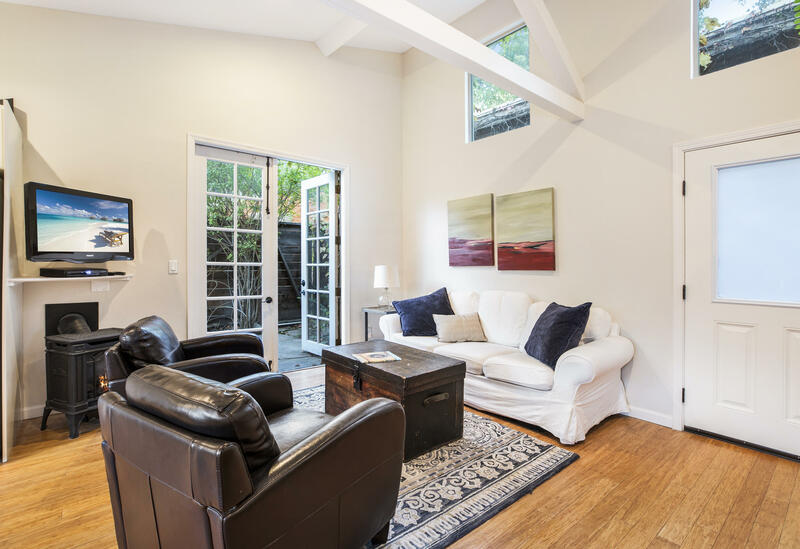 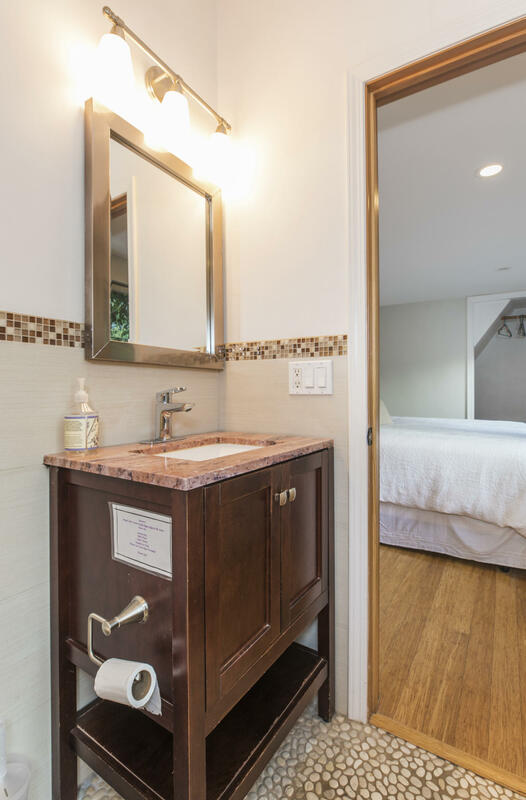 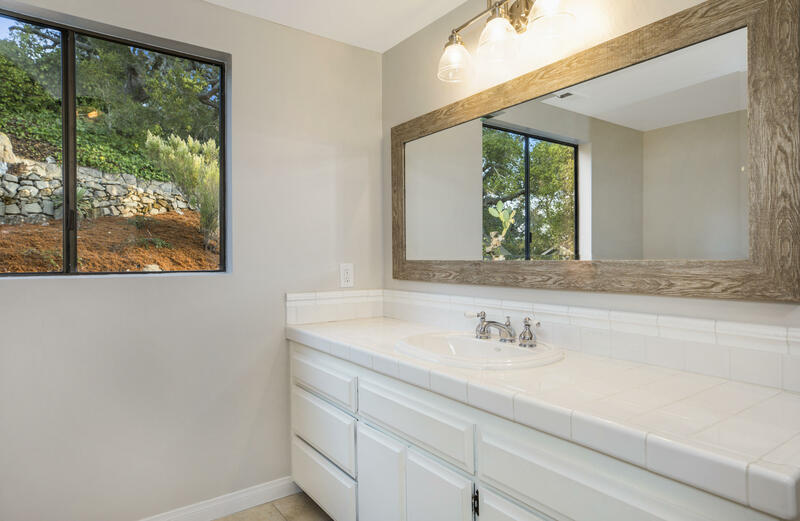 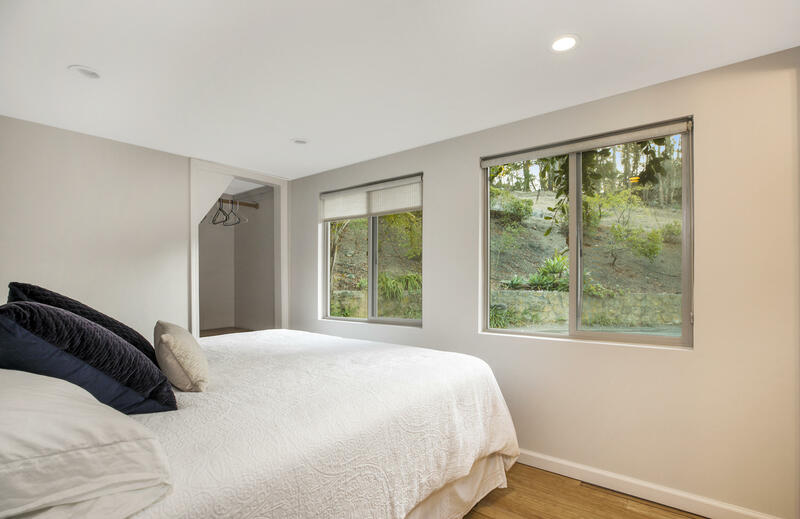 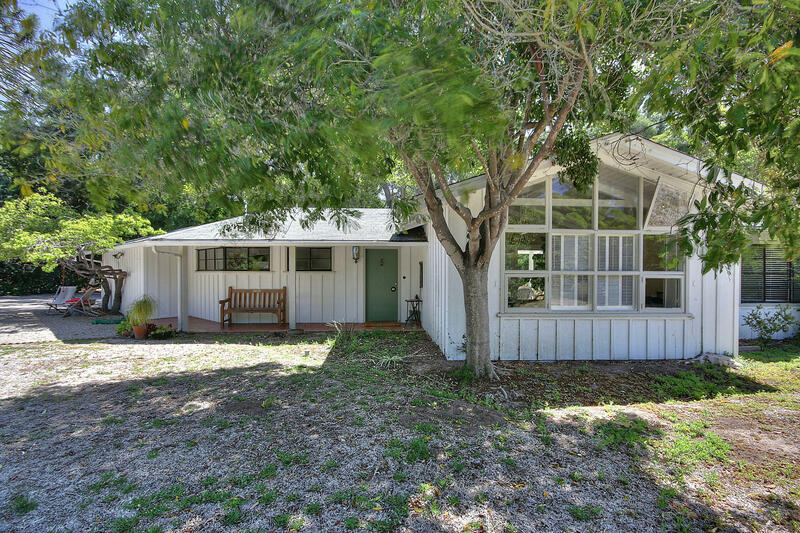 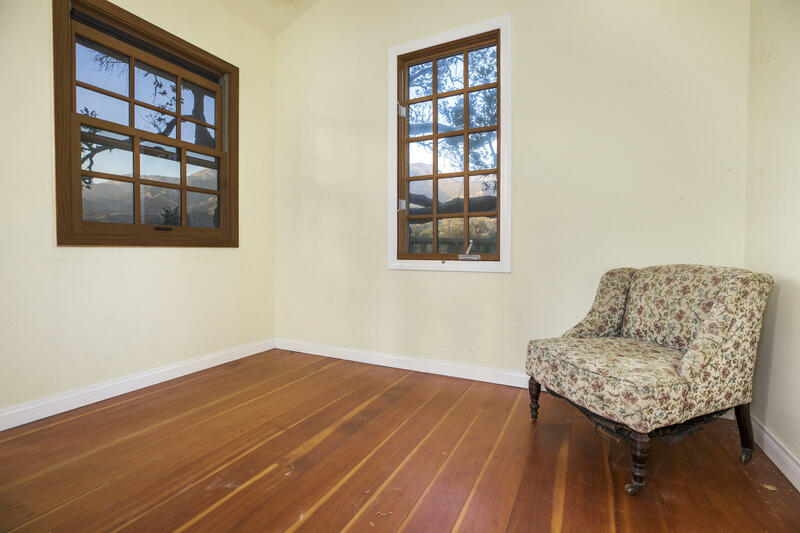 Located in Cold Springs Attendance Area and just 7 minutes from Montecito's Lower Village!